Celebration: Time to . . . I am now at the end of a two week Spring Break holiday and I am happy to celebrate time to . . . Tackle the to do list This week I cleaned my closet, organized kitchen drawers, compiled receipts and sorted clothes my children have outgrown. Visit the bookstore! I love nothing more than hours at the bookstore (Kidsbooks here in Vancouver is one of my very favourite places) to explore. I inevitably lose my children numerous times. My daughter is pretty easy to find. She is usually nestled into a corner reading – lost only in a book that has captured her. We are now just chapters away from finishing the highly engaging final book in the Ascendance Trilogy by Jennifer A. Nielsen – The Shadow Throne. Write posts that have been swirling about in my head. This week I wrote a post called What also happens here? This post addresses what we don’t often write about as teachers – the upset in the room. What have you celebrated this week? 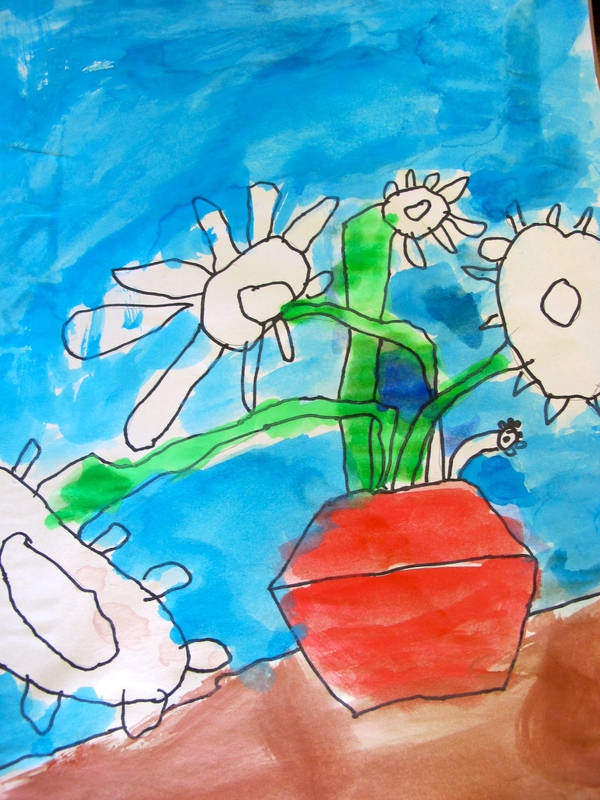 This entry was posted in Celebrate this Week and tagged Celebration, gardening, Jennifer A. Nielsen, Kidsbooks by carriegelson. Bookmark the permalink. So glad to hear you had a wonderful break, Carrie. I’m just starting mine! I plan to visit a favorite used bookstore tomorrow! Not that I need more books, but I never have time to visit this one, a ways away from home. Your bookstore looks inviting, and the daffodils divine-nothing here yet! Have a great weekend! There is always a reason to visit a bookstore in my opinion! 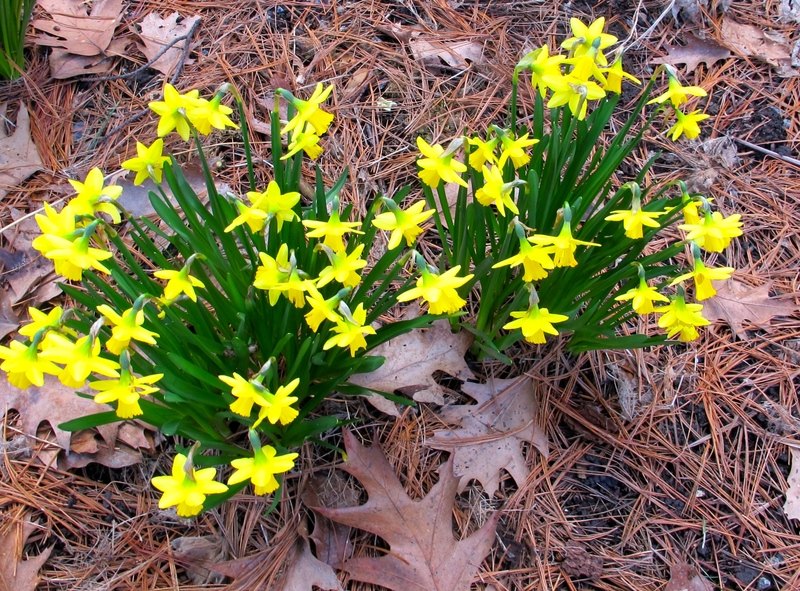 It is lovely to have the daffodils up and in bloom – also have glory of the snow in bloom and many things shooting up. I split, divided and moved lots of plants so am excited to watch over the year to see what happens! It sounds like you have had a lovely Spring Break. I am two weeks away from mine. I also hope to be able to spend some time writing about some ideas that are swirling in my head. I wish I were more of a gardener. I love the idea of it, but don’t relish the work involved. I am sure your garden is lovely in the summertime. Thanks for the great picture of daffodils…it seems like Spring is never going to arrive here. Glad to see some signs of Spring are arriving elsewhere. We are certainly lucky to have early signs of spring on the west coast. I must admit it is my favourite time in the garden – when everything is poking up with promises of what is to come. I was a big gardener and it got away from me the last few years so it feels amazing to be claiming it back! I do love it. As a bookseller in a small children’s bookstore, I appreciate it when people choose us to buy books over bigger and online options. I enjoy connecting with other readers and sharing recommendations! Have a great week! -Earl! Thanks Earl – I try to do the majority of my shopping in independent bookstores. Unfortunately fewer and fewer of them exist but we are lucky in having Kidsbooks here – an amazing bookstore with knowledgeable staff. Two weeks! What a blessing! I love your list – ah, the garden. Can’t wait for that! I love the picture of your daughter reading at the bookstore. 🙂 I’m interested in your link to the upset that happens in classrooms. I’ll be reading that to check it out. Jennifer Nielsen’s trilogy was just awesome! I love that you’re reading it with your kids!!! Great celebrations! Hi Holly! Two weeks was wonderful. Sometimes we go away but it was nice to just be at home and have lots of down time and get things done. My daughter at the bookstore is quite delightful! She has done that ever since she was little! And yes, this trilogy is so much fun to share together! So glad you had a great two weeks. I love the bookstore trips too. I snuck in a few this week – one with family and one alone, but both lovely. 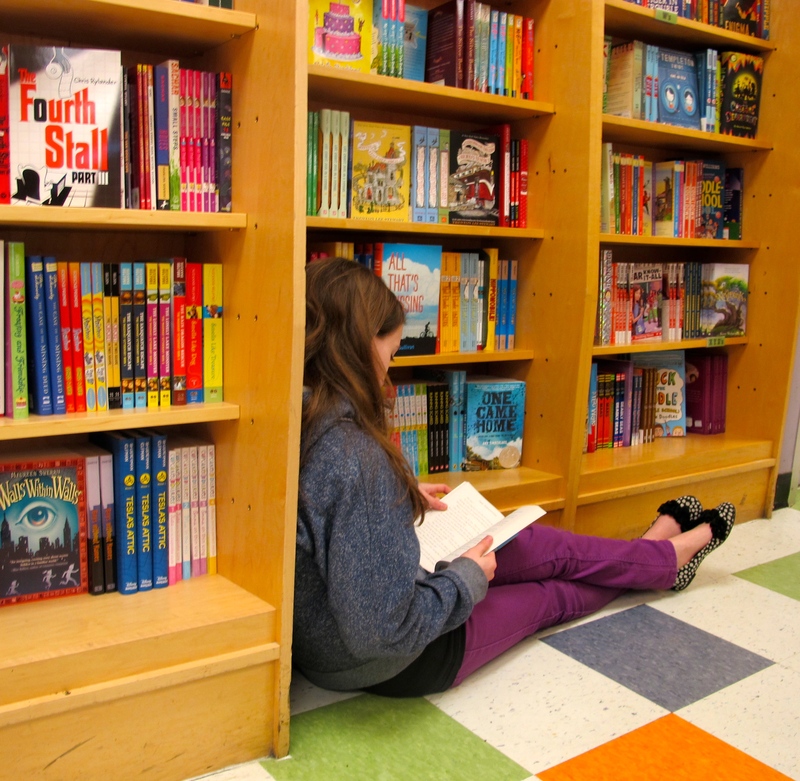 There is nothing quite like time at the book store! Especially if you get to leave with a bag full of treasures! Carrie – I really love how you shared each of your celebrations this week. Nicely done. Also, isn’t spring break just wonderful for hanging out and catching up and doing fun things?! I love it. Thank you for sharing. It certainly is! I am heading back out to my garden to win the war on weeds. Or at least the latest battle! Love the return to the garden – I am longing to do that, Carrie. Your Spring Break sounds perfect – lovely, gentle things to celebrate and take joy in. It has been quiet and gentle. Just what we needed. You are so lucky to have two weeks and daffodils! I see tips of green but that is it. I have the False Prince in my TBR pile which seems to be growing! Have a great weekend. The two weeks is very nice! And yes, there are many flowers in my garden right now. I feel lucky! Loved the photo of the daffodils, one of my very favorite flowers. Like Leigh Anne, I only see tips of green at this point too, but I’m relieved to see them since we were a bit late planting bulbs in the fall (all 400 of them! I’m always overly ambitious). Today was one of the first warm days we’ve had–60 and sunny. Makes me long for spring and working in my garden too! My husband and I were looking at the flower bed this morning and he noted that it looks like the zombie apocalypse happened a few years ago and no one has lived here or cared for the garden in all that time. But I’m sure it will look much nicer once I get out there with the clippers and rake! 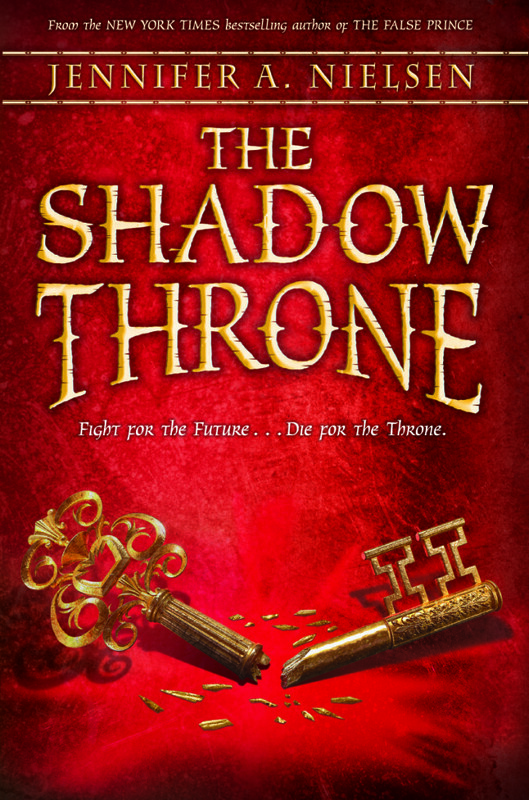 I just ordered Shadow Throne for one of my students who is reading the series. Visiting bookstores is such a delight. When I go to Denver with my mom, we usually manage to visit at least 3! 400! So exciting! You will have some gorgeous blooms to look forward to! Gardens take much work but the rewards are huge! Shadow Throne is very exciting – we are trying to finish it by back to school on Monday! So jealous that you already have flowers! I’m hoping by the beginning of May our grass may look more green than the brownish yellowish we have right now! It’s always hard to go back after a nice break! And it’s not the work, it’s the back to routine, at least I feel! Have a good week back! Thanks Michelle! Routine is nice I agree. Although it has been fun hanging out with the worms and the flowers!